Utility pole with attached pole to mark edge of Princeton ‘eruv’ (click to expand). In 2015, the town of Princeton approved a plan by Princeton University to install an ‘eruv’ around several local neighborhoods. An eruv is “a symbolic enclosure that allows observant Jews, mostly of the Orthodox community, to carry objects outdoors on the Sabbath”. In practice, it takes the form of a number of poles that are attached to the side of utility poles. 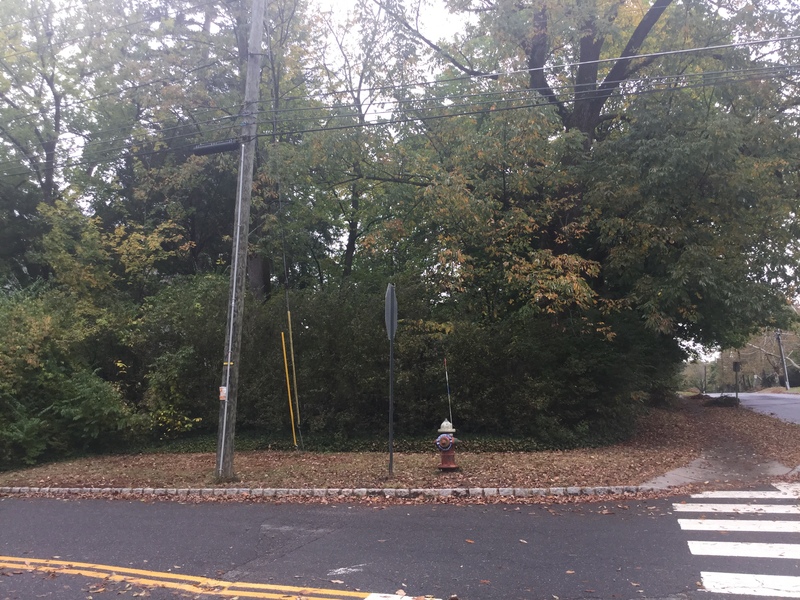 Most residents probably didn’t even notice the eruv being constructed, but walking around Princeton, it is possible to spot the poles that mark its boundary. They aren’t on every utility pole, just some number of poles around the edge of the eruv. The picture above shows one at the intersection of Jefferson Road and Terhune Road. It’s a thin, gray plastic pipe about 20-ft tall. Eruvs have been added in many towns around the world, and they are becoming more common in New Jersey too. 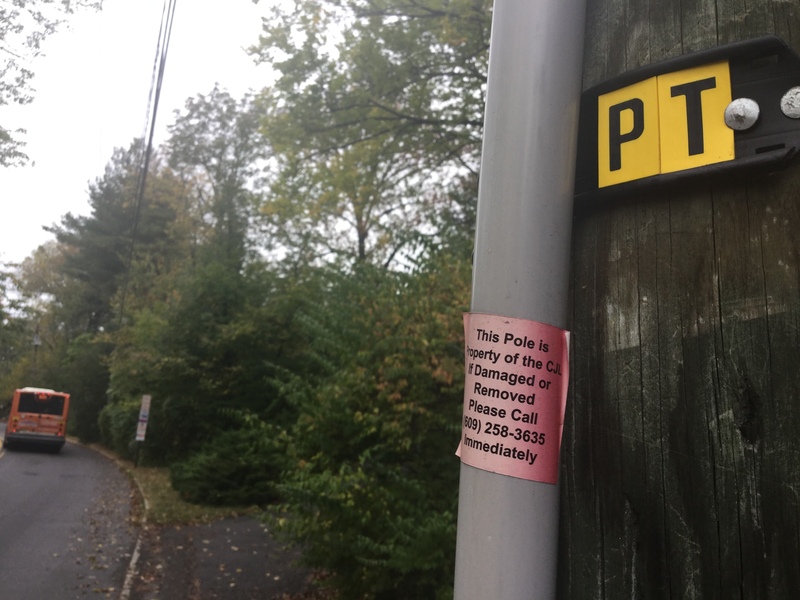 Although nobody seemed bothered about the eruv being installed in Princeton, and the poles are not very noticeable, opposition to eruvs has sprung up in other New Jersey towns. Jackson Twp, in Ocean County, passed a municipal ordinance to prevent construction of an eruv, while in Bergen County, Upper Saddle River stopped an eruv from being constructed and Mahwah has demanded that poles marking an eruv be taken down. Jewish groups are fighting these bans, claiming that the towns should not use local code to limit a religious practice. Meanwhile, police in Mahwah are investigating recent instances of vandalism where somebody has smashed eruv poles. You can find a map of the boundaries of the Princeton eruv at this link. This entry was posted in Community, Princeton, Walking and tagged eruv, Princeton, Walking. Bookmark the permalink.